Cloud9 had an absolutely phenomenal performance during day 5 of the Group Stage at the 2018 League of Legends World Championship, when they claimed victories over Royal Never Give Up, Gen.G, and Team Vitality. With the team flying high after silencing their doubters, three individuals from the team spoke out in separate interviews to share their thoughts after progressing from the 'Group of Death' to the Worlds 2018 quarterfinals. First up, Eric "Licorice" Ritchie spoke to VPEsports to break down their incredible day. We were just confident, actually. That’s what we were missing during the first round robin of groups and also in play-ins. We were really confident in just taking fights and believing that we just can fight them while doing something… and win. It just feels really good. I can’t say that I expected today to turn out the way it did, like when I woke up this morning. It’s just been a lot of fun. 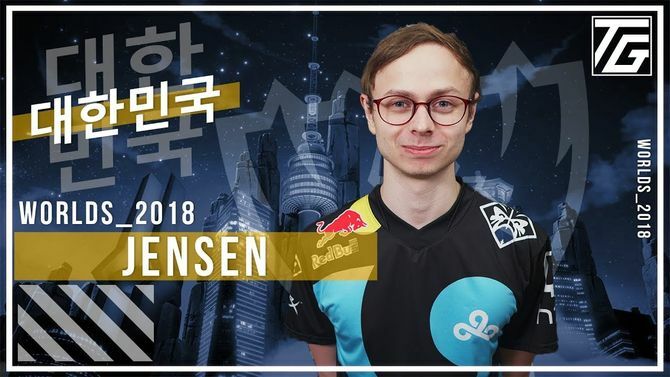 Meanwhile, mid laner Nikolaj "Jensen" Jensen highlighted the insane level of competition in the group, in a video interview with Travis Gafford. Yeah, it's been crazy because we just knocked the former world champions out of Worlds from groups. Vitality was looking insane too. It was definitely an action-packed group where you didn't know who was going to beat who. In the end, we managed to survive, so I'm just happy we made it out. I wasn't sure how this day was going to go, because Vitality looked really good and Gen.G is Gen.G — you don't really know what to expect. We've had in the past where Korea [in] Week 2, they just improve. [...] It was definitely some tough games, and it was weird how we were just beating the eastern teams, us and Vitality. Finally, the team's second mid laner — who is attending this Worlds as a coach, due to the competition's 6-man roster rule — spoke to Inven Global, as Greyson "goldenglue" Gilmer revealed what it was like watching his team's rise to success. We are all ecstatic. We are all on a high right now. All super happy. I don’t think anyone came into the day expecting that we were going to go 3-0 and be contesting for 1st place. It has been a great day. [...] There was definitely a lot of screaming. I think the most memorable moment was after we won a fight. I don’t remember what game it was because they were all together. Jack literally stood up...opened the team room door and screamed out in the hallway. After, he would close the door and sit back down (laughs). We are basically all doing the same thing. It was really crazy. Lots of energy. Uhhh…(laughs). As long as we don’t get kt, I think we can make it to semis (laughs). kt definitely looks super strong. I’m honestly not sure actually. But, our team environment is amazing right now. I could see us going really far. Further than any other NA team has gone before. Day 6 of Group Stage actions is already underway, as G2 Esports have risen to the top of Group A. Stay tuned to all the Worlds action by visiting the event hub!